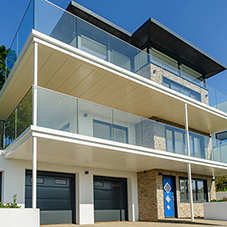 From this date onwards, SuDS on a new development must be designed and built in accordance with the Statutory SuDS Standards, while SuDS schemes must be approved by the local authority acting in its SAB role, before construction work begins. 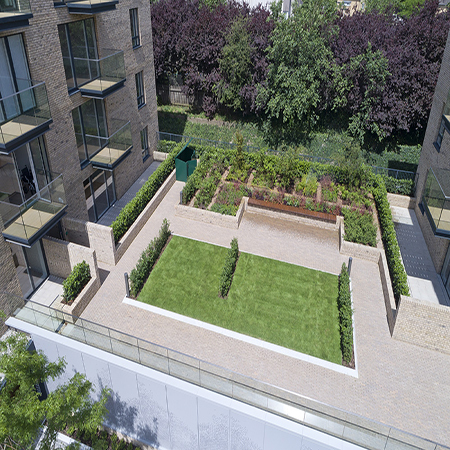 The core aim of SuDS is to manage rainfall as similarly to the natural process as possible, making use of surrounding landscape and natural vegetation to control the volume and flow of surface water. The benefits of SuDS include flood risk reduction, enhanced biodiversity, creation of natural habitats for wildlife, contribution to better mental health and much more. Green and Blue Roof systems both offer SuDS measures, intended to significantly reduce peak rates of rainwater runoff, especially during heavy rainfall. Generally, in the UK, London and East Anglia receive high intensity rainfall incidents, whereas western aspects of the UK generally receive higher total rainfall. 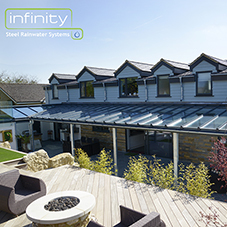 Therefore, the whole of the UK would benefit from Green and Blue Roof technology. Green and blue roofs do this is in different ways but can be used in conjunction with each other. Alumasc BluRoof rainwater outlets may be used to drain the excess runoff that is not absorbed by a green roof. 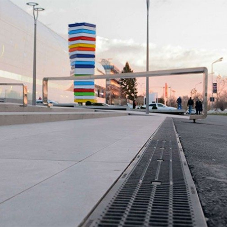 They do this in a controlled way, using specially designed flow restrictors: the attenuated stormwater is temporarily kept at roof level for controlled discharge — integral to the mitigation of flood risk. The number and size of which are calculated individually per job, to reduce the rainwater discharge to a specific maximum rate advised by the designer.